A story may offer different interpretations, even with several irreconcilable and contradictory meanings. As in Francesca da Rimini and Paolo Malatesta's story in Dante's Divine Comedy, this story is not about unfaithfulness either. This story is about infatuation: what burns inside of oneself when we let ourselves fall madly for someone. This book, Deconstructing INFATUATION, was given to me by Merce Cardus, the author, in exchange for an honest review. This short story offers so much, which is really ironic. I liked the plot; for me, it was realistic, certainly something that could easily be experienced by anyone. It is fast paced, indeed, but the life – and ‘love’ – lessons I think the author wanted to let her readers realize were strategically implied and successfully included in the book. 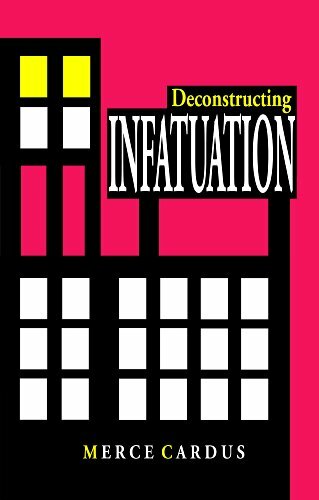 Deconstructing INFATUATION tells the story about a part of Helen’s life that I think she will never ever forget. Actually, I really believe she won’t. An almost month-long experience that will, for once, let her actually relax… and know what she really wants. And shake her emotionally, and, ‘physically’. :D I won’t give out more information (At least, I'll try not to) as I feel that you will enjoy this book more if you will only have a few ideas of what’s in store for you. Although just from reading the first chapter, you will already have an idea on what is about to happen, or how likely the story will turn out. For me, I was still surprised as to how the ending went down. It was almost heart-breaking but still, I do love the ending. You’ll probably question me after reading the book yourself. But I think the ending is just fitting. At least, that's how it was written. You’ll know what I mean. The characters: The book’s characters are all relatable, especially Helen’s. Helen is the book’s protagonist. I like her and I don’t care if she made a mistake; the truth is, we can all learn from her mistake. She has a boyfriend named Mark who travels a lot. Her roommate, Marleen, is about to get married and has to sublet her room for a month. This is where Tiziano comes in… In this book, it will seem that you’ll need more information about the characters especially Tiziano’s. But that’s not how the book was written and intended. The author wanted to emphasize the life lesson you are about to discover. I think that what happened to Helen, her experiences, her spontaneous change of heart, her situation, are all very close to our reality. This is one of the reasons why I love this book. It's fiction but it definitely and conveniently connects you to real life scenarios. Helen was obviously infatuated, although I don't think she knows that at first or at all. She’s ready to give up everything which is really scary because while I was reading the book, there’s no telling if it will be reciprocated. In real life, some of us may have been in the similar situation where we think we love a person but realize in the end that “Oh bugger, It’s not real.” Or perhaps, we love a person, and we assume that they will love us back – the infamous unrequited love (I’ve mastered this one. HAHA). Or maybe a situation where we are in a relationship, and then someone interesting and appealing comes along and rocks our world, makes us smile and feel that funny sensation whenever we fall in love, and almost immediately, we realize things that we didn’t know we needed, feelings that we didn't know existed, and suddenly, we have that urge to jump and change everything – and soon. All too familiar? I would say so. Oh dear, let me tell you, this book will really make you think and assess maybe not everything in your life, but enough (to actually make you wonder). “To love is to risk”. Is it really worth ‘loving’ someone when you know that it presents risks in almost every aspect? For Helen, it didn’t matter at the time. She knows what she wants (or at least what she thinks she wants), and is eager to pursue it – no matter what. I say, live and let live. ;) I mean, honestly, when you’re in the ‘fallen-in-love’ mode (or at least, when you think you are), you rarely think things through. Can you really blame Helen? Like what Meg (from Hercules) said, “People do crazy things… when they’re in love”. So true. I should tell you now that I was once (or twice) a hopeless romantic and that I’ve been there … and done a lot of risking here and there. I’ve learned a lot, which is all I can say. Helen’s lucky to have realized better in the end. So, my dear readers, viewers and friends, if you’d like to read a novel that is full of passion and love and life realizations then go ahead, please read Deconstructing INFATUATION by Merce Cardus. 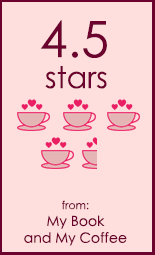 You’ll certainly love it. I did. Merce Cardus is the author of two novels, I say Who, What, and Where! and Deconstructing Infatuation. Her novels are inspirational, thought-provoking, and witty, whose themes reflect and explore the great questions of Life, constantly searching for Truth. Earning a Master's degree in Corporate Law, she has headed her own law firm. In 2008, after a wake-up call, she began an inner journey to realize her passion, and comitted to following her heart. She's currently living her passion by working on her third novel. Deconstructing INFATUATION by Merce Cardus is available in Paperback and Kindle edition. My Book and My Coffee is Now on Alltop!